Naples, Maine is in the heart of Maine’s Lakes Region and is a popular summer resort area, there are many great places to stay in this popular Maine vacation destinations. 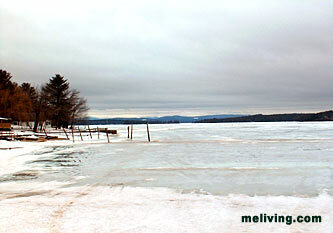 Naples offers inns and family camping near Sebago Lake – the main attractions in this area. Sebago Lake state park covers 1,400 acres and is mostly forested, with two main camping areas, Witch Cove and Naples Beach. 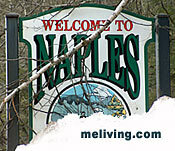 Naples village, a short trip away, has many restaurants, shopping, boating, swimming and fishing. The town of Naples hosts an annual July 4th Fireworks display – a great time to visit Naples, Maine. To feature your Naples, Maine business in MELiving.com, contact us. Naples Campground, the newest family campground in the Sebago Lakes Region of Western Maine, where outstanding customer service is unsurpassed! Located on Route 114/11, only 1.4 miles from Naples Causeway and Route 302. Nearby attractions include public beaches, boat launches, fishing, golf, hiking, shopping and great restaurants. Stay for a weekend or the season, our friendly staff will do its best to accommodate your camping needs.